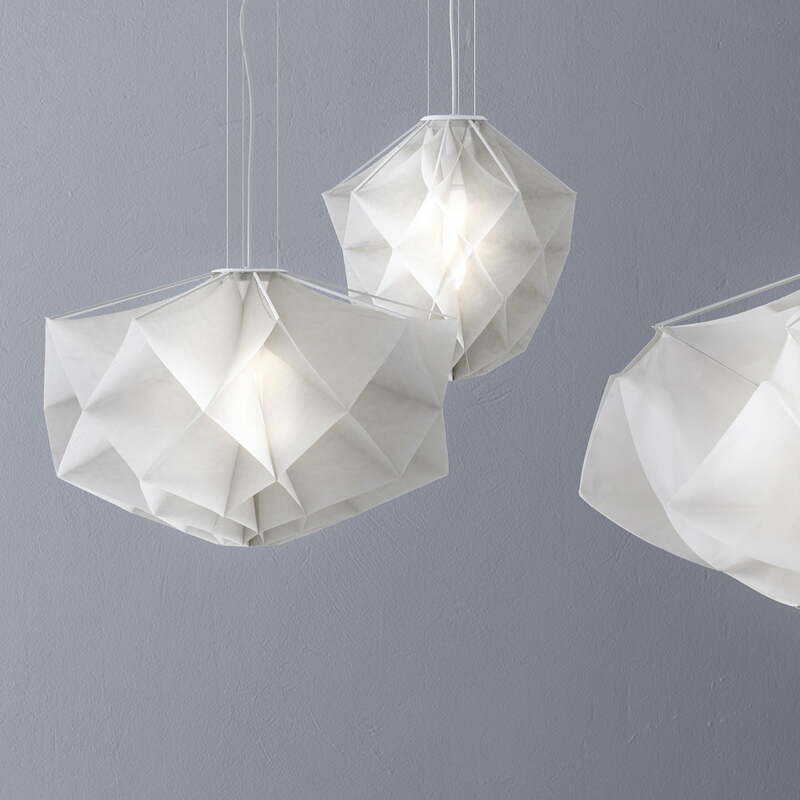 The pendant lamp was designed by Studio Drift for FontanaArte in 2013. 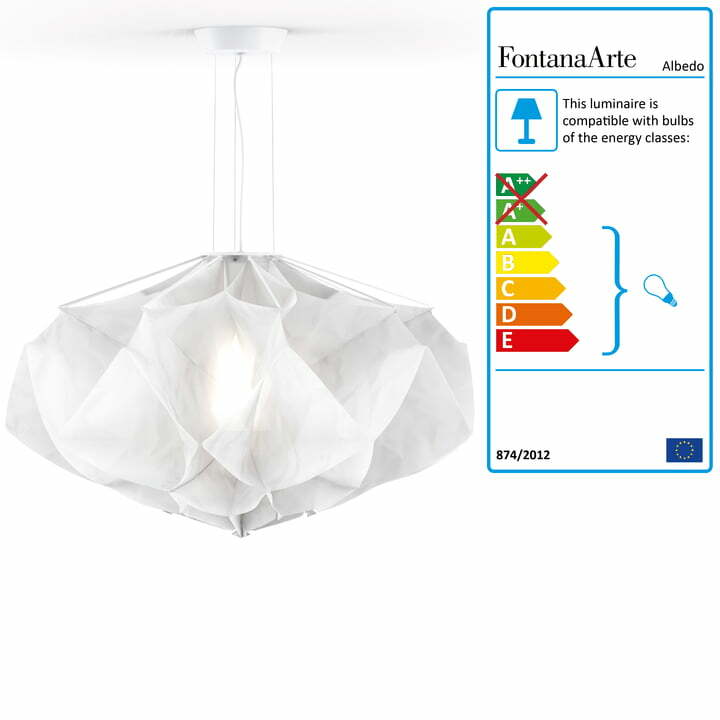 The metal structure inside of the lamp is hidden by a washing machine safe textile. 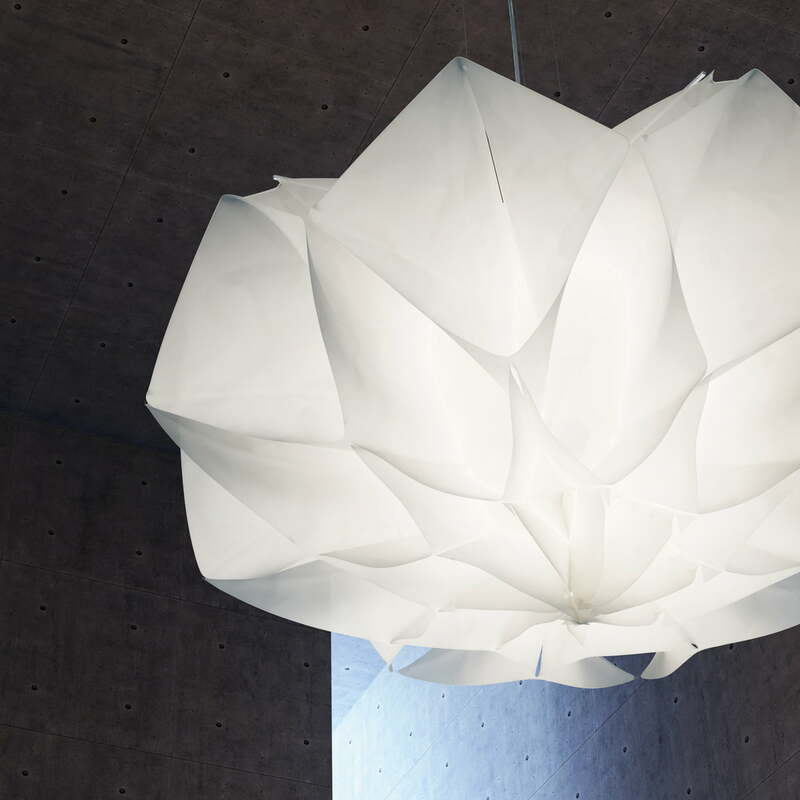 Albedo becomes a soft and harmonic stone of light crossing the fabric, being glare-free and soft in every room. 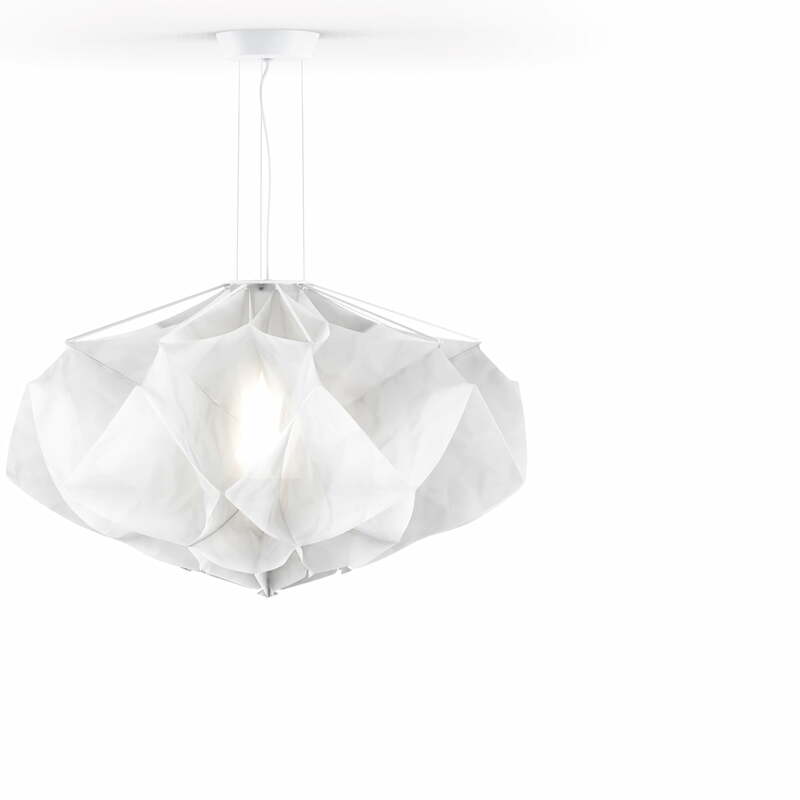 Albedo is delivered with a thin steel rope to be hanged at, a transparent cable and a white canopy. The mounding hardware remains in the background in order to focus the lamp’s diffuser. The diffuse light of the Albedo pendant lamp makes it perfectly suitable in presentation rooms and places that demand tranquillity. The light of Albedo is adjustable with an external dimmer. 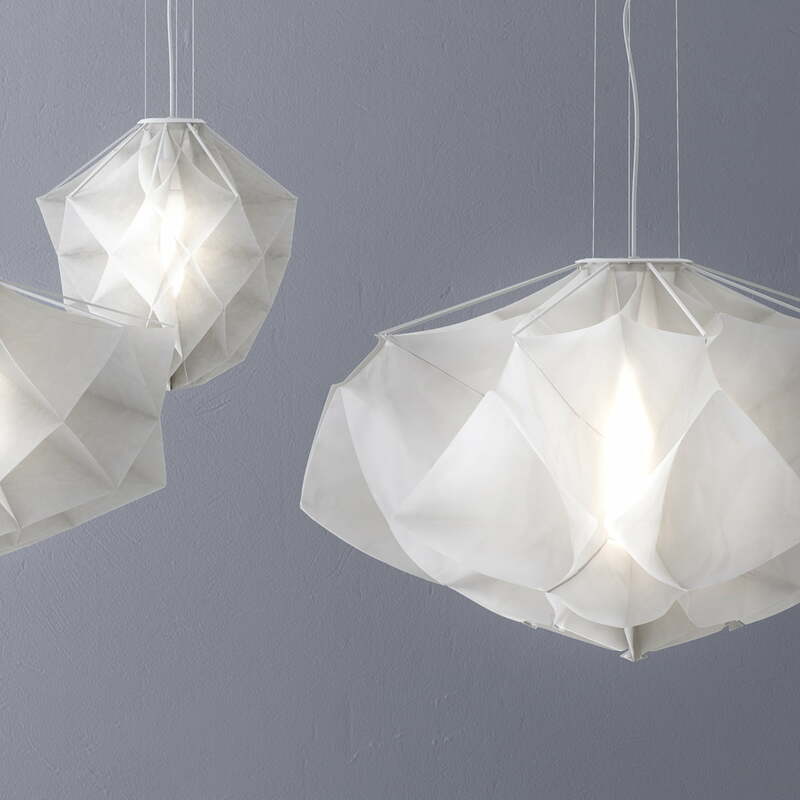 The pendant lamp is moreover available in two further sizes.